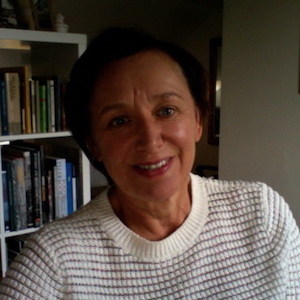 Pauline Hadaway has worked in arts and education since 1990 and is co-founder of The Liverpool Salon, which organises public debates on a range of topics. As director of Belfast Exposed Photography between 2000 and 2013, she oversaw its transformation from a community photography resource into an internationally renowned gallery of contemporary photography. In her doctoral research at the University of Manchester, Pauline is currently exploring different uses of arts, heritage and culture as tools for peace building and economic and social reconstruction in Northern Ireland. She has been published widely, including Policing the Public Gaze (2009), a report for the campaign group The Manifesto Club; Re-imagining Titanic, re-imaging Belfast in Relaunching Titanic: memory and marketing in the ‘post -conflict city’ (2013) and, for the National Media Museum’s web-based either/and project. Her latest publication is Escaping the Panopticon, a chapter in Photography Reframed: visions in photographic culture, published by I.B. Tauris (2018).